16 & 22 flexible round steel tines with epoxy-coated finish. Head securely fixed to tubular steel handles with black plastic hand grip and a hang hole. 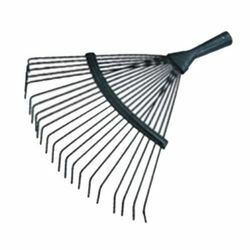 The flexible tines are designed not to clog and make the leaf rake ideal for combing grass and leaves.